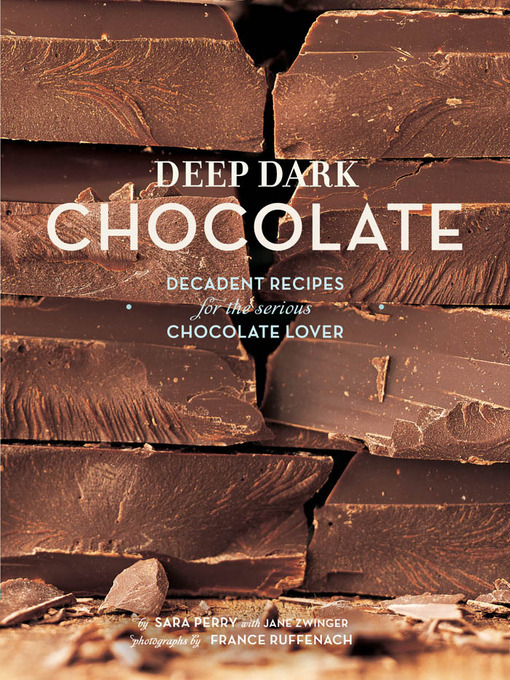 Dark chocolate lovers will fall head over heels for each of the more than 60 indulgent recipes in Deep Dark Chocolate. Everyday treats include Black Magic Chocolate Espresso Cookies and Crunchy Nut Bittersweet Caramel Bars, while fancy delights like Papa Haydn's Chocolate Gateau and Little Chocolate Cheesecake with Mocha Affogato offer up irresistible decadence. Whether the recipe calls for bittersweet or semisweet chocolate, cocoa nibs, cocoa beans, or all of them together, everyone at the dinner table will be saving room for dessert! With gorgeous chocolate-drenched photographs and a quick primer that reveals the essentials about this highly sought after treat (it's high in healthy antioxidants! ), Deep Dark Chocolate keeps the bittersweet-tooth forever satisfied.